During the last couple of weeks, I have been asked the same question many times. "Are you excited to go home?" Admittedly I am, in spite of the many things I will miss from my experience in Denver for the past 18 months. First and foremost, I will miss two of my daughters and their wonderful children who live in the Denver area and with whom I have grown very close. The consolation is the fact that I will be going home and reuniting with my wife and our oldest daughter's family, which includes three children who are attending the University of Chicago Laboratory Schools where I spent eleven years prior to retiring. 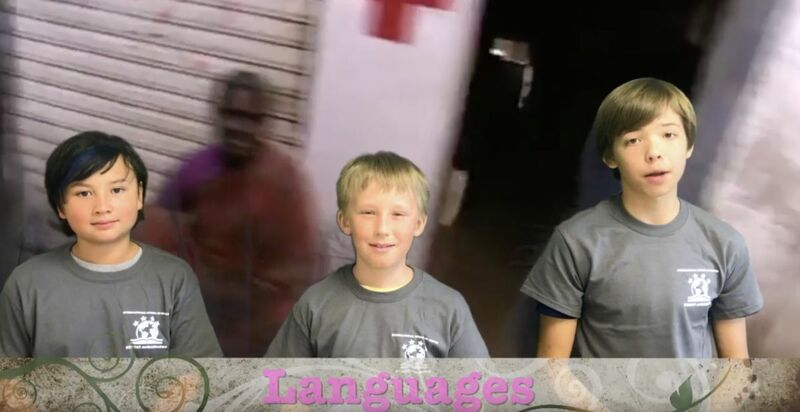 The fluency in a second language that is heard among our middle school students. I intend to return to Denver periodically and will visit at some point down the road. Bob Carignan and I have been in frequent contact since being named the next Head of School. I am confident that he will quickly impress the entire ISDenver community and be the stable force that this school deserves. I leave with fond and lasting memories, with the intention of continuing my financial support, and with the anticipation of following ISDenver's progress through Thursday's E-news. Zaijian 再见, Au revoir, Adios! It is with great appreciation, on behalf of myself and the Board, that I write to convey a tremendous thank you to Dr. David Magill for postponing his retirement to lead ISDenver for the last year and a half. It would be easy as an Interim Head of School to just keep the wheels on until the next leader arrives. Thankfully, Dr. Magill didn't see that as his role. He immediately saw the potential of ISDenver, recognized the quality of our staff and believed in and honored our Strategic Plan. Dr. Magill made it his mission to leave ISDenver better than he found it. At times, this required difficult decisions and Dr. Magill did not shy away from doing the right thing to keep our momentum. He empowered our talented staff to maintain the culture of our school while strengthening each of our programs. He further helped the school identify where it was important to invest resources to sustain, and build upon, the quality of the education our children receive. Dr. Magill put us on a solid path to accreditation by dedicating himself to making ISDenver "accreditation-ready" as he hands the reigns over to Bob Carignan. During my time on the ISDenver Board, I have found Dr. Magill to be a steady voice, offering a substantial base of knowledge as to what the school needs from its Board to be successful. He is also a voice of calm, imparting the wisdom he has learned throughout his career to help put ISDenver challenges in the proper perspective. Dr. Magill, it has been a pleasure working with you. I, and the ISDenver community, owe you a huge debt of gratitude for your service to this school. I wish you all the best as you pursue the passion that I know you value above all else, spending time with your family. I hope you are proud of what you have helped ISDenver to accomplish. The fruits of your labor have certainly made me proud to be a member of the ISDenver community. Our inaugural Student Ambassador program has started out strong, with a variety of initiatives to engage both the student community and prospective families. 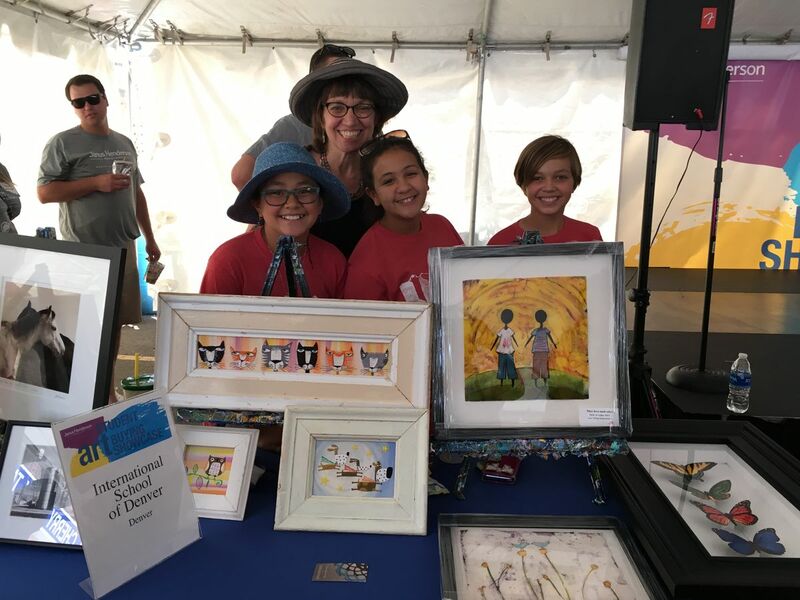 Three of our Upper School students attended the Cherry Creek Art Festival last week to purchase art for ISDenver as part of the Janus Student Art Buying Program.